Crime and Justice Research Centre member Dr Monique Mann is speaking at the ‘Defending Truth Internet Freedom Hack’ to be held this weekend (20-22nd of April) across both Brisbane and Melbourne. The Internet Freedom Hack is a community event that brings technologists with a passion for digital rights together for a weekend to build things that advance the cause of internet freedom. Dr Mann will be in conversation with Lauri Love about all the terrible things that governments around the world are doing for internet freedom and privacy, with a focus on the ridiculous #waronmaths in Australia and across the Five Eyes alliance more broadly. They will talk through the options of what we can realistically do about it as scholactivists and hacktivists, and drawing from Love’s recent success fighting extradition and 99 years in a US prison, how to fight back against internet apathy, privacy nihilism and the government. 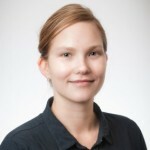 Lauri Love’s extradition case was one of the cases examined in Dr Mann’s recent co-authored article with Dr Ian Warren and Ms Sally Kennedy on ‘The legal geographies of transnational cyber-prosecutions: Extradition, human rights and forum shifting’ published in the leading international (Q1) journal Global Crime.